Acne is a common skin condition that can occur anywhere in the body with hair/sebaceous follicles. It mostly affects the face, upper chest, and back. The glycemic index measures the rate of increase in blood glucose levels, following a meal. Foods with a high glycemic index include white rice, potato, white bread, corn flakes, bagels, etc. Vegetables, nuts, beans, whole grains, many fruits, etc. have a low glycemic index. How is First Aid administered for Acne? 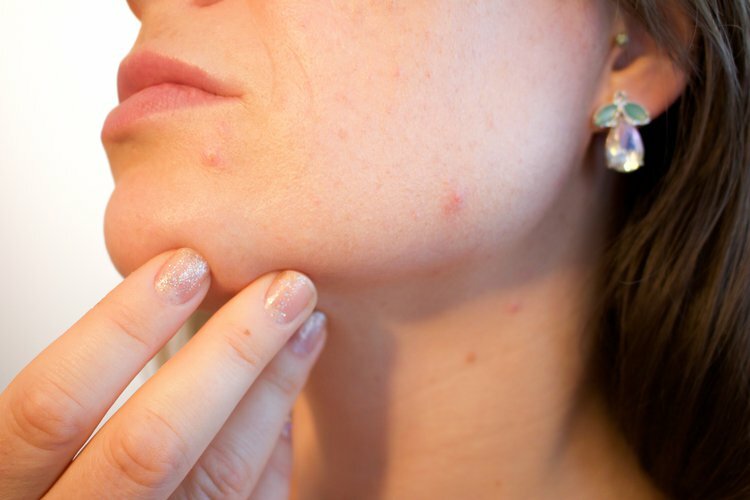 Who should administer First Aid for Acne? The individual affected by Acne himself/herself can administer the treatment. What is the Prognosis of Acne? Layton, A. M., Eady, E. A., & Zouboulis, C. C. (2016). Acne. John Wiley & Sons, Ltd.
Meyer, K., Pappas, A., Dunn, K., Cula, G. O., Seo, I., Ruvolo, E., & Batchvarova, N. (2015). Evaluation of Seasonal Changes in Facial Skin With and Without Acne. Journal of drugs in dermatology: JDD, 14(6), 593-601. Moradi, T. S., Makrantonaki, E., Ganceviciene, R., Dessinioti, C., Feldman, S. R., & Zouboulis, C. C. (2015). Acne vulgaris. Nature reviews. Disease primers, 1, 15029-15029. Becker, M., Wild, T., & Zouboulis, C. C. (2017). Objective assessment of acne. Clinics in Dermatology, 35(2), 147-155. Gieler, U., Gieler, T., & Kupfer, J. P. (2015). Acne and quality of life–impact and management. Journal of the European Academy of Dermatology and Venereology, 29(S4), 12-14. Stein-gold, L., Shemer, A., Sprecher, E., & Shiri, Y. (2015, March). A phase 2 randomized trial of a new minocycline foam for the treatment of moderate-to-severe acne vulgaris. In Seminars in Cutaneous Medicine and Surgery (Vol. 34, No. 1, p. S1). Layton, A. M., Thiboutot, D., & Bettoli, V. (2016). Fast Facts: Acne. Health Press Limited.